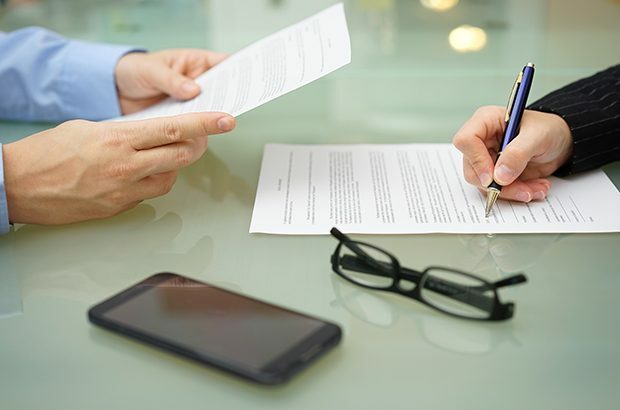 Everyone needs a lawyer at some point in their life, and it’s usually for something fairly stressful – like sorting out a will, buying a house or if you run into trouble at work. Because most people only use a lawyer a few times in their lifetime, they may not realise that finding the right one can sometimes be hard. Rather than rush into a decision, it makes sense to shop around for a lawyer in the same way you do for a mortgage provider, an insurance company or a car. It’s important that you get the service you need at a price that’s right for you. Unfortunately most people don’t shop around and instead rely on recommendations from friends and family – which means they can’t be 100% sure that they’re getting good quality or a fair price. For the small number of people who do shop around, finding the information you need to make a decision isn’t always easy. For example, only 17% of lawyers publish their prices at the moment. This can make it hard for people to know where to start when they think they need a lawyer and may put some off getting legal advice altogether. They may even decide to try and take on the problem themselves, without expert help. As a result of the limited shopping around, we have found that competition isn’t working as well as it might. Unlike other sectors (for example, travel or credit cards) there are few online comparison tools that help people compare.To help these tools be developed we’ve recommended that legal regulators release data (for example complaints data). Lawyers should publish their prices, their services, and the right to redress (right to complain and get compensation if the service is bad) upfront.We’ve suggested this be included as part of legal regulation to help customers make better informed decisions, including ensuring they can compare providers before they choose. Everyone needs to understand when they need to hire a lawyer and how to hire the right one for them.We’ve recommended that the existing Legal Choices website be revamped and improved so members of the public can educate themselves about legal issues, to help them understand all the options available to them and to help them make informed decisions. Feedback platforms where consumers can leave their reviews of legal services for others to read would help everyone understand the quality of services offered and allow individuals to benefit from the experience of others. We’ve recommended that regulators provide guidance on how lawyers can engage with and respond to public reviews to encourage the creation and use of review sites. We’re committed to seeing our recommendations put into place and would like to see dramatic improvements in transparency and competition in the legal sector. To help us reach this goal we’ll work closely with legal regulators to put these recommendations in place and to encourage lasting change. We’ve also suggested that the Legal Services Board monitor and report on the progress made in implementing the remedies. Given the current low levels of information available we expect the implementation of our recommendations to lead to a significant increase in the amount and quality of information published on price, quality and service. Helping people to get the information they need will also encourage legal firms to work harder for their clients’ business, which will improve services and benefit customers. There may be a need for further intervention as the changes take hold – increasing transparency is the starting point but other changes may be needed further down the line. We’ll assess the impact of the recommendations in 3 years’ time and reconsider whether there’s a need for further action to improve the sector for consumers.